The Old Montgomery County Courthouse was completed in 1850 and is recognized as one of the nation’s finest examples of Greek Revival-style architecture. Schooley Caldwell began the renovation project began with a thorough facility assessment, which led to the complete exterior and interior restoration that gave the old courthouse new life and new use. The building now functions as an events center that hosts an array of special events from business meetings to weddings. The historic details are now enjoyed by the public and the renewed courthouse offers the City of Dayton another 100 + years of life. The design team’s overarching intent was to preserve and restore the historic features of the building, while creating a center with modern conveniences and comfort. 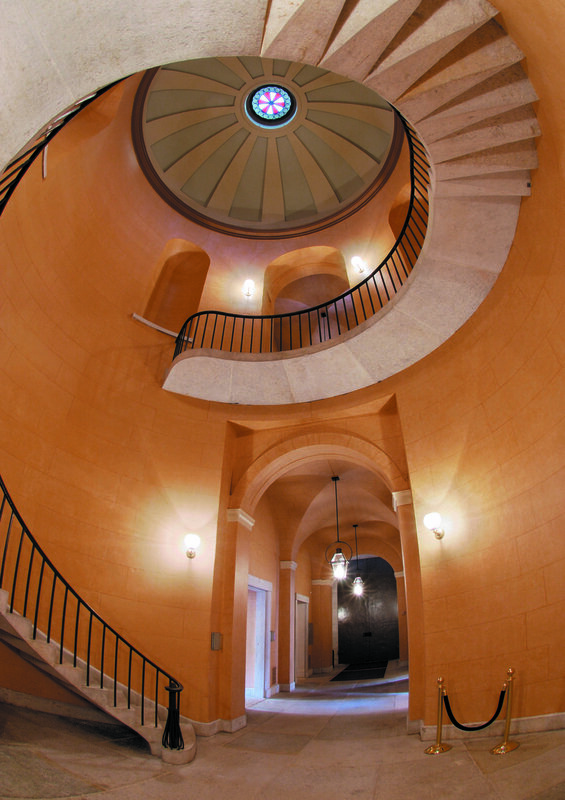 Monumental features in the building, such as the unique elliptical courtroom and the spiral cantilevered staircase, were restored. 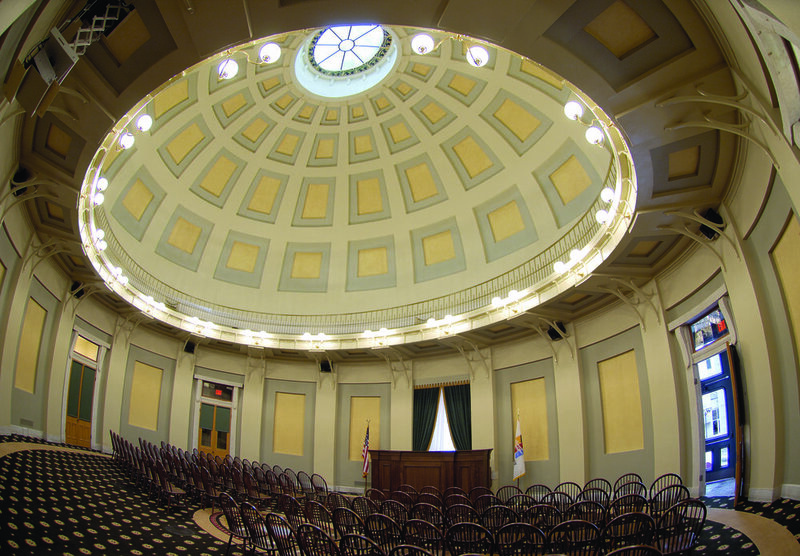 Both of these spaces feature remarkable domes, each with an oculus and coffered ceilings. A two-story vestibule that had been covered sometime during the turn of the century was reopened to recapture the original grand entry of the building. A catering kitchen and restrooms were sensitively added on the first floor. These modern spaces were designed to blend into the historic aesthetic of the pre-Civil War era building by using compatible materials, finishes and colors. Elsewhere, custom carpeting was made that is historically accurate to the period. Furniture selection was based upon standards for today’s use, as well as historical aesthetics.